We are pleased to announce that registration is now open for Teaching the Codex. The colloquium will take place on Saturday 6th February 2016 in the TS Eliot Theatre at Merton College, Oxford. We are grateful to TORCH, the Craven Fund, the Lancelyn Green Foundation Fund and Merton College’s History of the Book group for their sponsorship, which has allowed us to cover so much of the cost of the colloquium. Palaeography and codicology encompass skill sets which are relevant to a broad range of disciplines across the Humanities. Most students encounter them for the first time at graduate level, in spite of their wide-reaching implications for our understanding and interpretation of the texts and documents with which we work. The approaches taken to teaching and using these skills vary according to the subject area, and interdisciplinary collaboration is often informal. 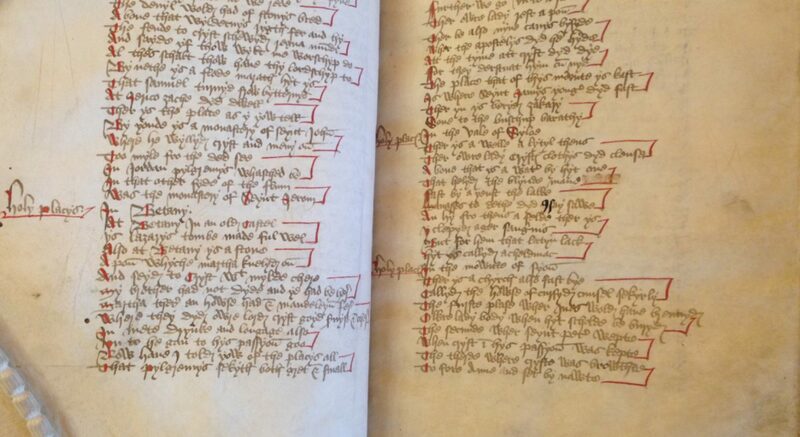 Our aim in organising this colloquium is to bring together academics from a range of disciplines who are experienced in teaching palaeography and codicology in order to enable a series of discussions on diverse pedagogical approaches. We anticipate that the colloquium will facilitate dialogues around traditional and innovative strategies for learning which will lead to the sharing of resources between disciplines. We are very keen to encourage graduates to attend, as their input as students of palaeography and codicology would be greatly valued.